Winter is such a special time for a wedding. We had a great time working with Rachel to come up with lush and gorgeous arrangements for her beautiful wedding. The ceremony took place at the Brooklyn Historical Society, in their gorgeous Othmer Library. The reception was held at MyMoon in the evening, which we filled with gorgeous red toned blooms and red accented winter decor. 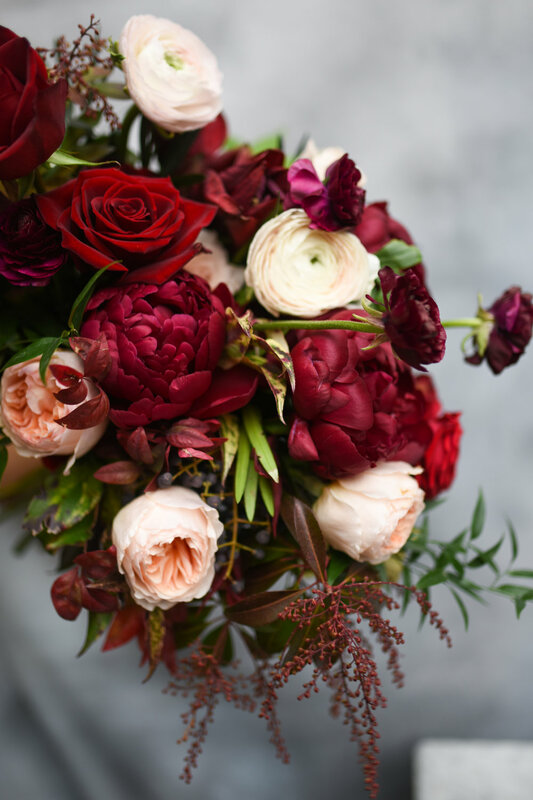 The centerpieces were made of lush and overflowing red and burgundy toned blooms. We hand-dyed red table runners, and covered them with greenery garlands, gold toned pinecones and walnuts, as well as a massive amount of different candles.